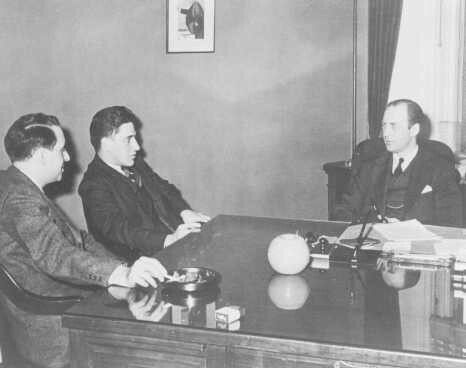 Meeting of the War Refugee Board in the office of Executive Director John Pehle. Pictured left to right are Albert Abrahamson, Assistant Secretary of the Treasury Josiah Dubois, and Pehle. Washington, DC, United States, March 21, 1944.